The Aeronautical Center Amateur Radio Club (ACARC) will be offering amateur radio licensing classes on three upcoming Saturdays in April, followed by amateur Radio Licensing exams on the first Saturday in May. Bring a sack lunch if you wish or there are several fast food restaurants you can visit within a short distance. I'll have a list of those for you at the first meeting. These classes will be for the Technician class license which is the entry-level license that conveys all privileges on VHF and UHF frequencies, plus limited HF frequency and power privileges. These classes will be held during the three April Saturdays (April 5th, April 12th, and April 26th) from 8 AM to 4 PM with a one hour break at 11:30 for lunch. The fourth Saturday (May 3rd) will be a review at 10 AM (optional) followed by the exam at noon. The location of the classes and exam will be the Oklahoma City Fire Training Center, at 800 N. Portland. The building we are in is to the east, so you may park in the east parking lot, and go in either of the two east doors. The classroom we are in will be posted at the outside doors so you can't miss it. This class typically is offered in the spring and fall of each year. It is available on-line as well. If you have any further questions, need directions, or otherwise, you can call me at the phone numbers below, or reach me at my email address. "The ARRL Centennial QSO Party is a year-long operating event that celebrates hams making contacts. In the end you will have accumulated points, worked new stations and made new friends all over the world. The Centennial QSO Party is made-up of two main activities: (1) W1AW operating portable in each state and most territories; and (2) The Centennial Points Challenge which is the accumulation of points from qualifying contacts made throughout 2014. To have a score listed online in the Points Challenge competition, logs must be submitted through the Logbook of the World (LoTW) system. START TIME: 0730hrs til ? Contact: Ken Eppler 580 920 5916 or Dave Barkley 580 434 701 for more information. Come to Mooreland April 5 at 8 a.m. for the Tri-State Amateur Radio Group Hamfest and Amateur Radio Show. Grab the flyer below and help spread the word. Perhaps a lot. Today is Girl Scout Day. There's been a lot written about amateur radio and Boy Scouts. Are you reaching out to the Girl Scouts to help with with their radio merit badge? 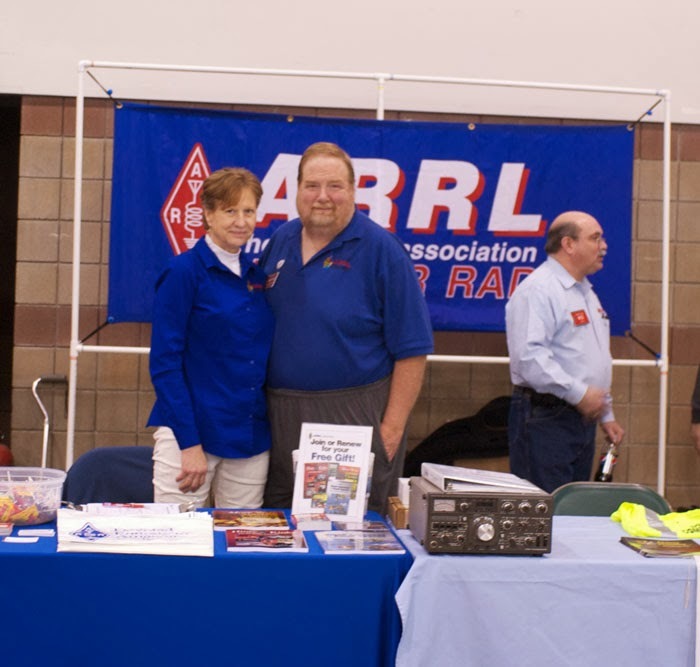 (K5RAV) at the American Radio Relay League booth. Are you ready to join the Amateur RadoEmergency Service? 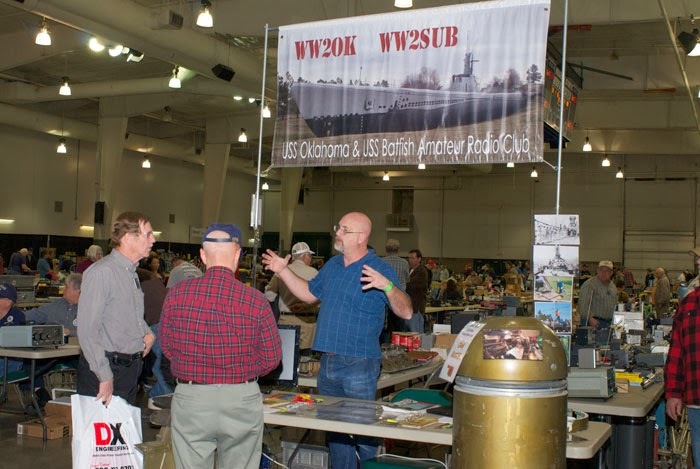 Did you misse the WW2OK and WW2SUB booth? Rows and rows of items for sale awaited all who attended. Thanks to Cindy Downes (K5CED), an Oklahoma Section Public Information Officer for the photographs. On March 19 in 1918, Congress approved daylight-saving time"
"The date and time of all clock changes is determined by the week number in March or November and always happens at 2:00 a.m. on a Sunday. Clocks "spring" forward on the second Sunday in March, and "fall" back on the first Sunday in November." That's right. Daylight Savings Time was approved so one gets an extra hour of daylight in the evening. Will you spend it on 10- and 15-meter openings to Asia? In the mean time, don't forget to Spring Forward this weekend. I know I titled this Spring 2014 and there is lots of snow outside, but I’m trying to be optimistic……. (Think WARM…..WARM…..) The bad part is in about 2 or 3 months we’ll be wondering where all the cool weather is! The first couple of months of the new year have been VERY busy around the QTH. We started taking care of the grandson again after Wilma retired again…..Then at the end of January Wilma had her left hip replaced. She is doing very well. She is walking a mile already(weather permitting) and chasing after the 2 ½ year old . She would like to thank all of you that have sent along best wishes for her quick recovery. I echo those thoughts as well. It’s wonderful to have the fellowship of this hobby when things get a little rough. 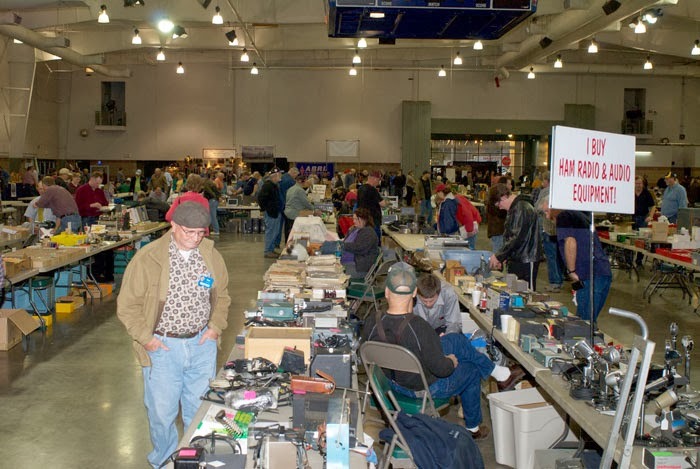 Speaking of hamfests, don’t miss Green Country this year, it is the West Gulf Division hamfest. I’ll be ther along with Director Dr. David Woolweaver, K5RAV, Vice-Director John Stratton, N5AUS, from Headquarters, Norm Fusaro, W3IZ and Bob Heil, K9EID of Heil Sound. It should prove to be a really great hamfest. The other hamfests for 2014 include………. If you can’t go to Hartford, (I can’t) then you definitely need to attend Ham-Com in Plano, TX this year. This will be one of 6 Regional Centennial Conventions. The West Gulf and Delta Divisions are teaming up to support this convention. There will be a substantial league presence along with section and division representatives. I’ll be there along with the other SM’s from both divisions. So, mark your calendars for June 13 – 14 for Ham-Com Regional Centennial Convention. It is time to start considering your submissions for the WG 2014 Divisional Awards, which will be presented at the ARRL Regional Centennial Convention at HamCom in June. Nominations for 2014 Award Winners will be accepted until April 15, 2014. Nomination forms for each nominee (by category) must be supported by at least three ARRL members on the award nomination form, a minimum 150-word statement and any available supporting documentation. Other rules do apply and can be found on the nomination forms. 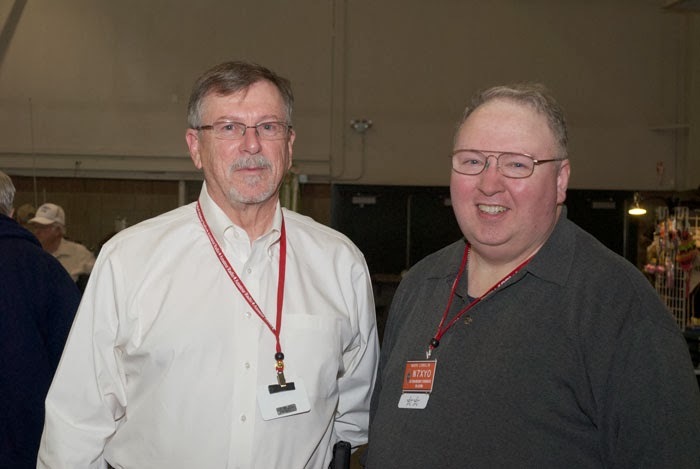 The Division Awards judging panel consists of four (4) ARRL members, selected by each of the Section Managers in North Texas, Oklahoma, South Texas and West Texas Sections. The fifth judge is selected by the Division Director and may reside anywhere within the West Gulf Division. Neither the Division Director nor the Vice Director will participate in the vote. Amateur operators are still needed for the OKC Memorial Marathon, Sunday April 27th from 6:30AM till around 1 or 2pm. 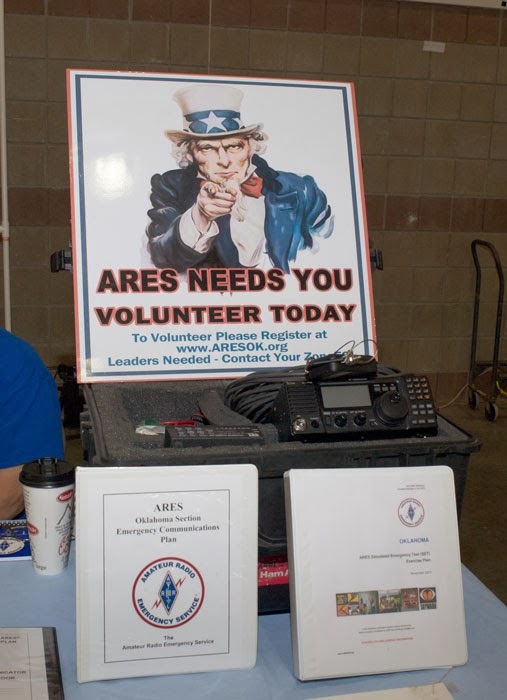 You can get all the information on registration from Mike Rockey, KE5EQC, Communications Chairman at ke5eqc@arrl.net. As I said earlier, 2014 is the Centennial of the ARRL. There a lot of neat things coming for the year. The first one is the Centennial edition of the ARRL Handbook. The hardback version is already sold out!! If you haven’t gotten a handbook recently, this is the year to do it. http://www.youtube.com/watch?v=JerSTUDqI7s This is a very good production available for use at your local club meeting, hamfest and broadcast and cable television outlets. The video is an overview of the ARRL’s first 100 years. I think you will like it. If you would like to have a copy of the new 5 Pillars Talking Points PowerPoint presentation, just let me know and I’ll email one to you. This PowerPoint is great for all kinds of presentations and is editable as to how many of the parts you would like present. The public relations training course PR-101 is undergoing a revision and will be released by Dayton, if not before. It looks to be in a PowerPoint format. This way, you can not only take it in a more enjoyable, visual mode, but it will lend itself to classroom presentations as well. This is a wonderful opportunity to showcase Amateur Radio to the public and use the Centennial as a hook for the media exposure. There will be additional PR materials for your use. PLEASE!!! Don’t forget to enter your Field Day operation on the League Field Day Station Locater at : http://www.arrl.org/field-day-locator I’m not sure just yet where I’ll be traveling to, but if your operation isn’t on the locater site, I won’t know where you are to possibly show up. This is also a good time to try and get the inactive hams in your area out and get them re-invigorated. You can also get the new hams on HF and get them hooked for good, not to mention upgraded. If your club is an affiliated club with the League, you need to make sure you update the clubs information on the league website at least once a year. We have a number of clubs in the section that are on the verge of no longer being affiliated. So, get your info updated NOW! I look forward to seeing all of you at one of the hamfests or other events around the section this year. Thanks again for all you do for Amateur Radio in Oklahoma!